With our varied lodging options, you are sure to find a fit for your group. To make reservations, or to learn more about our price information, fill out our interest form or contact the office. 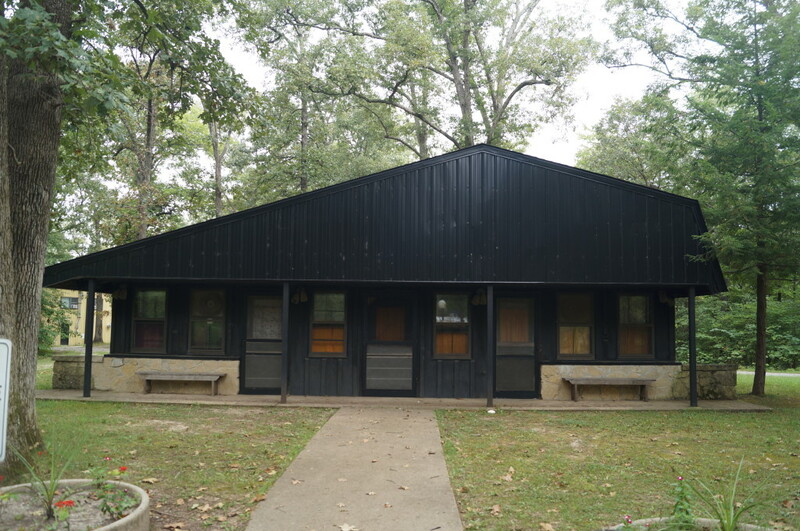 Oak Lodge, our main meeting and dining facility, also houses one guest room with a double bed and a twin bed, along with a full private bath. Hickory Lodge has a total of 30 beds in 11 guest rooms on two levels. There are shared restrooms and showers on each level. The first floor offers a large meeting room with a kitchenette and the second floor has two smaller lounge areas. Approved standards for food preparation and clean up must be followed. There is a minimum billing of 15 persons for Hickory Lodge. All linens are provided for these rooms. Our four cottages each have two dormitory style bedrooms. Each bedroom can sleep eight persons in permanent bunks with an additional two on rollaway beds, for a maximum of 10 persons per room, or 20 per cottages. There are accompanying restrooms with showers in each bedroom as well as a central meeting room with a fireplace. Roadside Cottage is handicap accessible but does not have a fireplace. Blankets are available; bring your own pillow. Linens can be provided if requested in advance and for an additional charge per person. Any loss or damage will be billed to the group involved. Our Rustic side features eight cabins arranged into two villages on the west side of the lake. Each Rustic Cabin has large screened windows, a ceiling fan and electricity and sleeps up to eight persons in bunk beds. There is a centrally located, recently updated shower house.